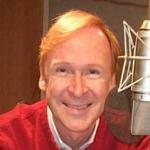 Greg I is a Professional Singer, Voice Actor and Bilingual Master of Ceremonies. CM for McDonalds, Renault, Iris Oyama, Panahome. Hitachi Theme Song, Victor Entertainment, Crown. Japan Doyo Culture Award. MC of MLB Opening in Japan, World Baseball Classic, Star Wars Convention, Prince Edward Edinburgh Awards.